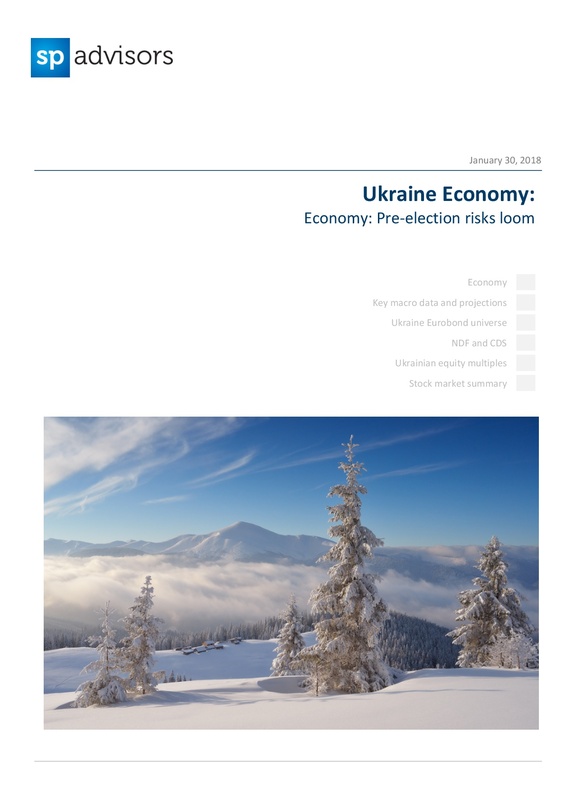 The key challenges for Ukraine in 2018 are all related to the government's ability and will to maintain the necessary pace of reforms in a pre-election year. That will remain an impediment to the resumption of cooperation with IFIs, and that cooperation is critical to Ukraine's economy operating smoothly in 2018 and 2019. The government will make a final political decision in the next 2-3 months on whether to move ahead with the IFI programs. At this point, we are cautiously optimistic and believe Ukraine will secure at least one loan tranche from the IMF this year. In that case, the economy would not experience any major shocks – GDP growth would accelerate slightly, while the hryvnia exchange rate would fluctuate within a reasonable +/-5% band. Please contact SP Advisors for the full version of the documents (information@spadvisors.eu).